If you are in the South Toe River Valley, then consider a quick detour to the beautiful Roaring Fork Falls. 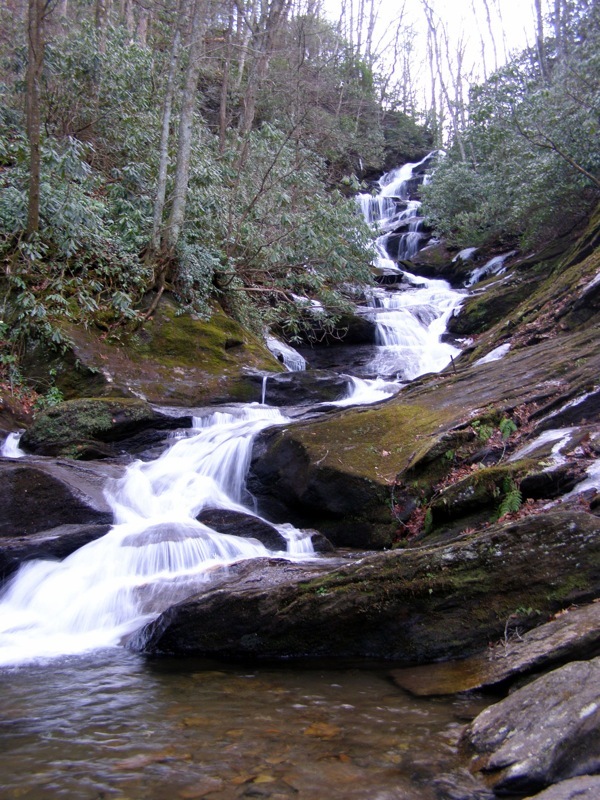 Located just off NC-80 this waterfall is accessed via an easy 1.5-mile hike. 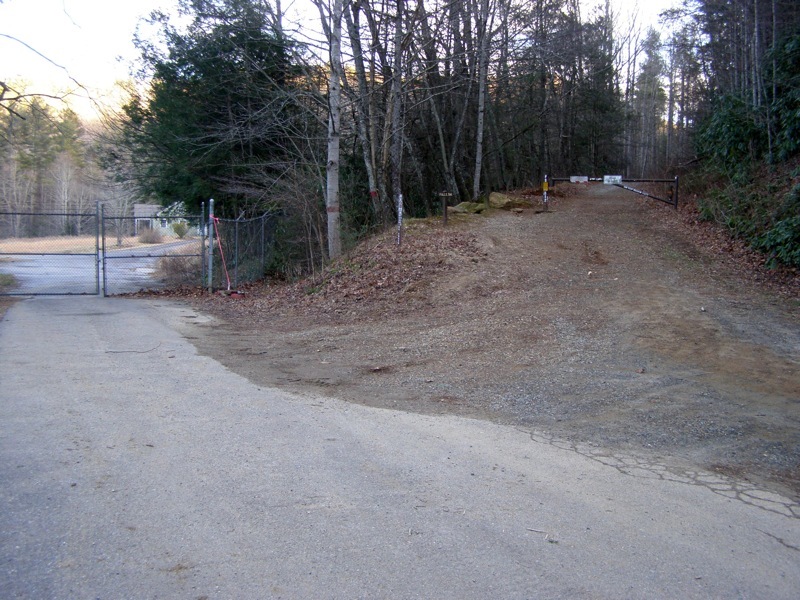 From NC-80 turn left onto South Toe River Road towards the Black Mountain Campground and take an immediate left on Busick Work Center Road after a bridge over Still Fork Creek. At the end of the road is a small parking area before a gated compound, the Roaring Fork Falls Trail follows a gravel road to the waterfall. This waterfall is not tall but makes up for it with a beautiful setting as the creek pours through a narrow, green chasm over many small cascades. Pictures do not do justice the steepness and power of this amazing waterfall. 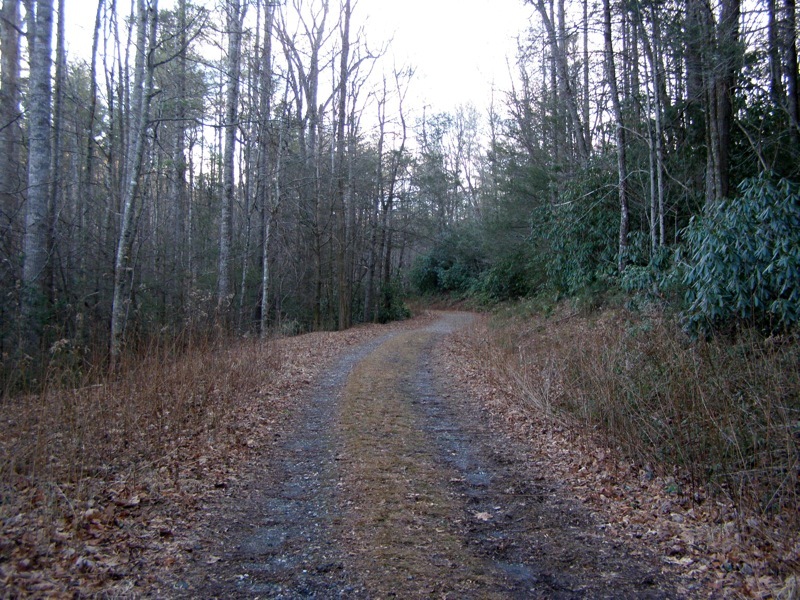 Mile 0.0 – Hike begins at the parking area for the Roaring Fork Trail. The trail is a flat, gravel road to the waterfall. You will see Roaring Fork below the left side of the trail. 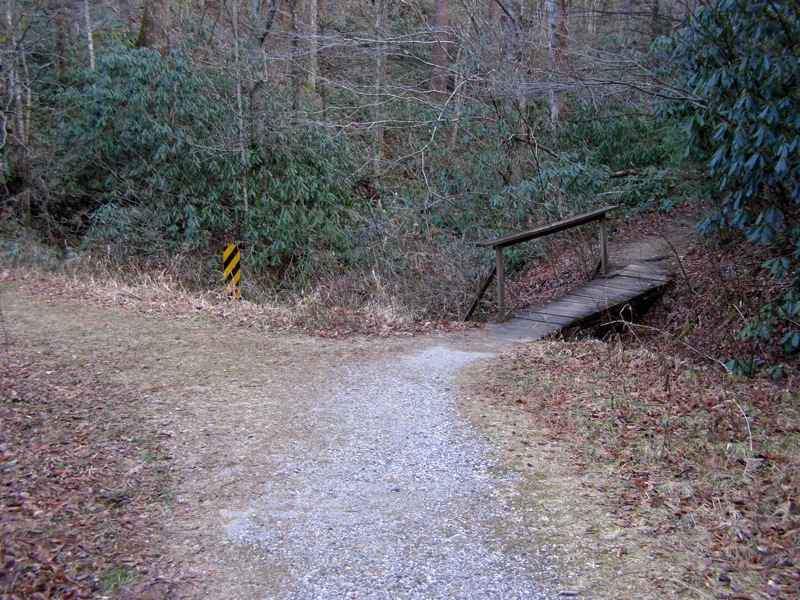 Mile 0.6 – The trail branches to the right before a bridge leaving the gravel road. 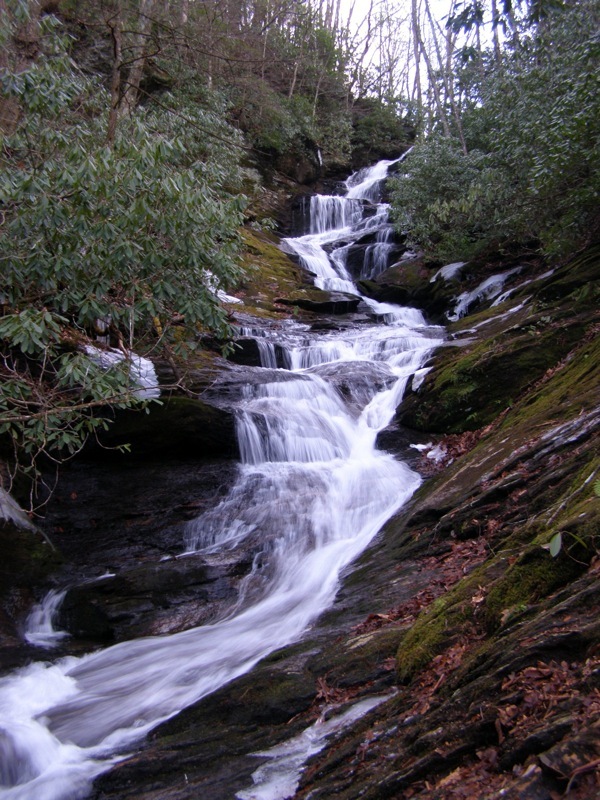 Mile 0.7 – Reach the base of Roaring Fork Falls. 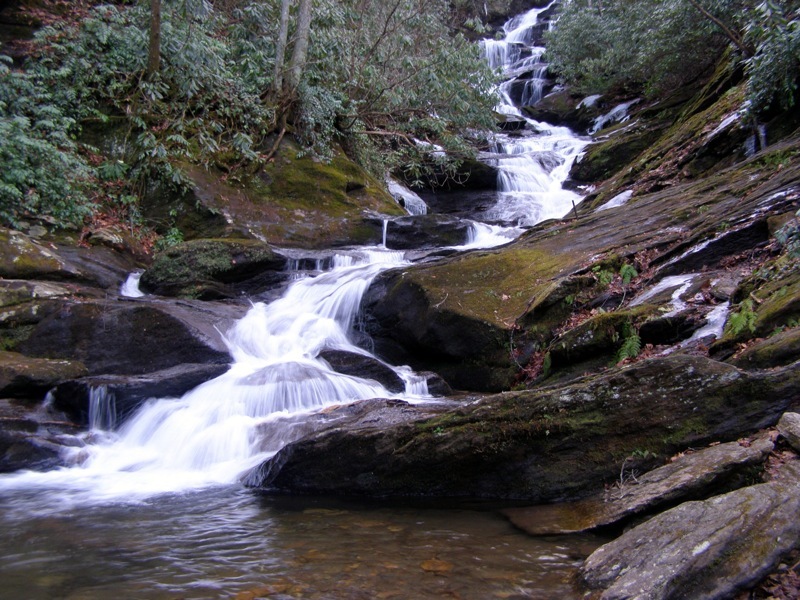 Roaring Fork flows through a tall, narrow chute with many small cascades totaling over 50 feet high. You can get very close to the lowest cascade of the waterfall. Do not attempt to scramble high up the falls because most of the rocks are wet, sloped, and covered in slick moss. Mile 1.5 – Hike ends back at the parking lot. An easy, flat hike to a gorgeous waterfall. Isolated - saw only footprints of one other person. Great for any age. There are also a lot of other things to see in this area. You could easily spend a while day exploring this area.